Pork-loving UK patrons of McDonald’s may celebrate the introduction of a Big Mac with bacon. However, across the pond, Wendy’s is turning up the heat between the fast-food rivals with a bacon-stuffed hamburger offering of its own. From introducing self-service to partnering up with UberEats, the home of the golden arches is no stranger to trialling new ideas. Still, a quick survey across the Elite Franchise editorial team suggests that the company may’ve just introduced its most popular innovation yet – a Big Mac with bacon. This is the first time in the burger’s 51-year history that the recipe has been changed. And to top it off, Mickey D’s is also introducing, or reintroducing if you like, two other rasher-stuffed versions of the iconic burger – the Grand Big Mac and Big Mac Junior. The original versions of these two patty-packed sandwiches were first introduced in 2018 to coincide with the 50-year anniversary of the Big Mac’s launch. All three versions will be available until Tuesday March 19. Although, visitors in the US may have an even better offering in store for them. During one hour on Tuesday January 29, patrons of Ronald McDonald’s humble abode are able to add free bacon to their meals. This will coincide what McDonald’s is referring to as Bacon Hour. However, that’s where Wendy’s and the iconic franchise have yet again come at loggerheads. In the US, Wendy’s has tried to one-up McDonald’s by offering free Baconator burgers to customers who spend more than $10, Business Insider reports. As the name suggests, the hamburger is filled with bacon. This offering will run between Monday January 28 to Monday February 4. What Business Insider referred to as the biggest fast-food feud of 2018 kicked off when Wendy’s launched an ad campaign calling out McDonald’s for using frozen patties. To add another insult, one of the ads were broadcasted during the Super Bowl. 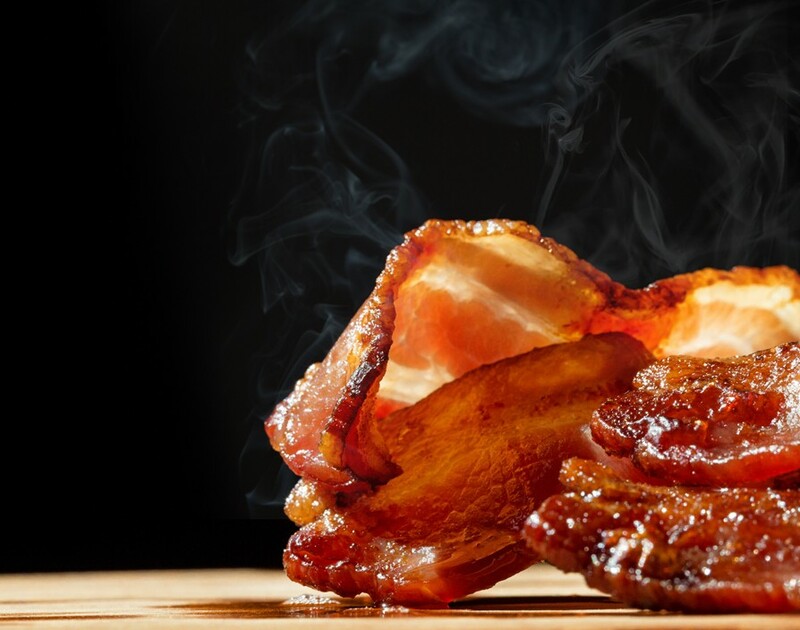 While we’re confident that UK consumers will enjoy the new bacon burgers, only time will tell if the rasher battle will be the last salvo in the punch-up between the two US rivals.